Cho'gath after a good meal. It’s not the first time, and it won’t be the last time. Cloud9’s Sneaky is known for his stream’s clips of him getting absolutely annihilated. On this episode of Sneaky dying, it’s another Cho’gath story. This one is especially entertaining because of his reaction. I can’t really put it into words, but it’s the kind of moment that might make you laugh out loud in public. The clip is here. 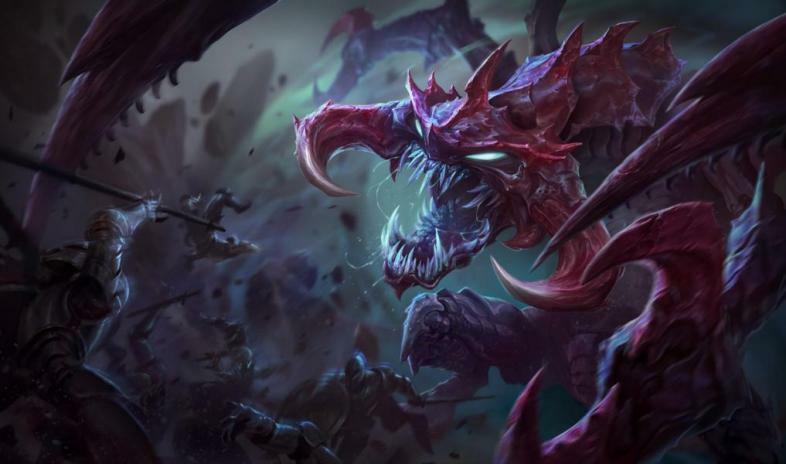 This isn’t the first Cho’gath one shot we’ve seen. Cho’gath’s current state in the game is skewed because of Gargoyle Stoneplate’s interaction with his ult. His ult scales with health. Stoneplate gives you more health when it’s activated at the cost of a percentage of damage. However, Cho’gath’s ult deals true damage. Therefore, it is not affected by the damage reduction. This leads to some insane damage, of which the highest number I’ve personally witnessed has broken 2000. Of course, you need items to achieve this kind of damage. However, health items are extremely cheap in general, especially for their efficiency and synergy with Gargoyle Stoneplate. Youtuber Synapse cuts together clips of League of Legends streamers daily, and there’s a high chance of Cho’gath one shots these days. In the past weeks, there have been 10+ live on streams, recorded by Synapse in his videos. Countless others happen all the time. Along with this on Synapse’s channel are bad plays, good plays, and just overall stupidity. Arguably some of the most varied League of Legends content on Youtube since it’s taking from 40+ streamers with their own personality traits and senses of humor (or lack thereof). Truly worth giving a watch if you’re interested, and maybe you can find some more clips of Sneaky dying hidden among the other gems.